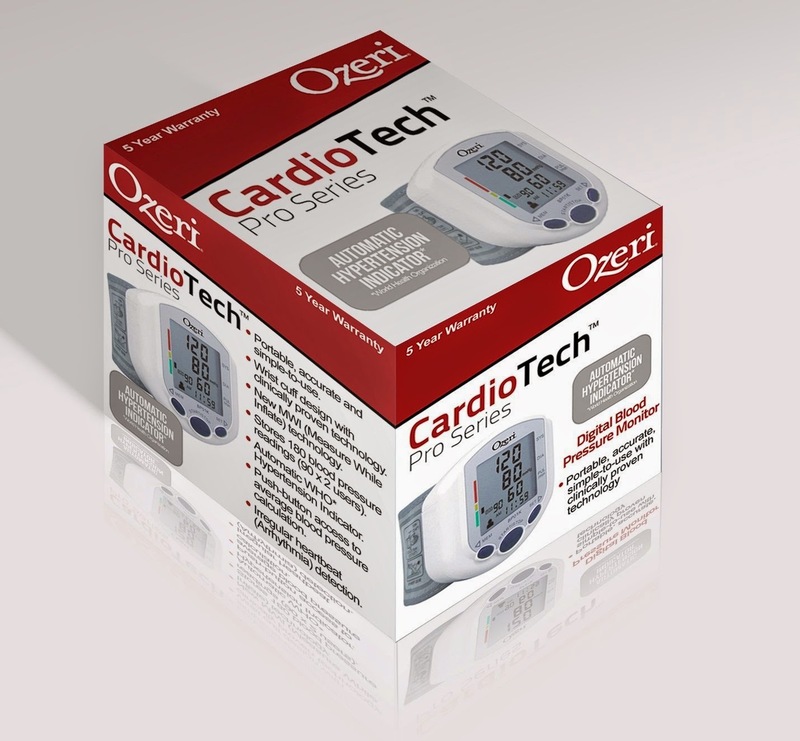 CardioTech products offer clinically proven technology and are used by physicians and hospitals around the world. 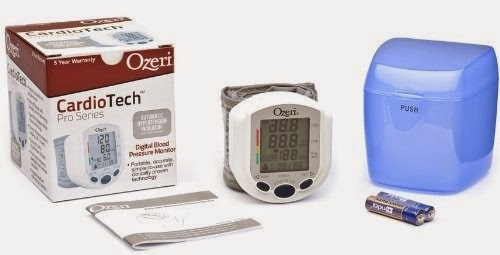 Unlike traditional blood pressure monitors that inflate to 170 mmHg or higher by default, the Ozeri CardioTech Blood Pressure Monitor is an advanced wrist cuff monitor with MWI (Measure While Inflate) technology that automatically inflates to the appropriate level (no adjustments required) while reducing measurement time. 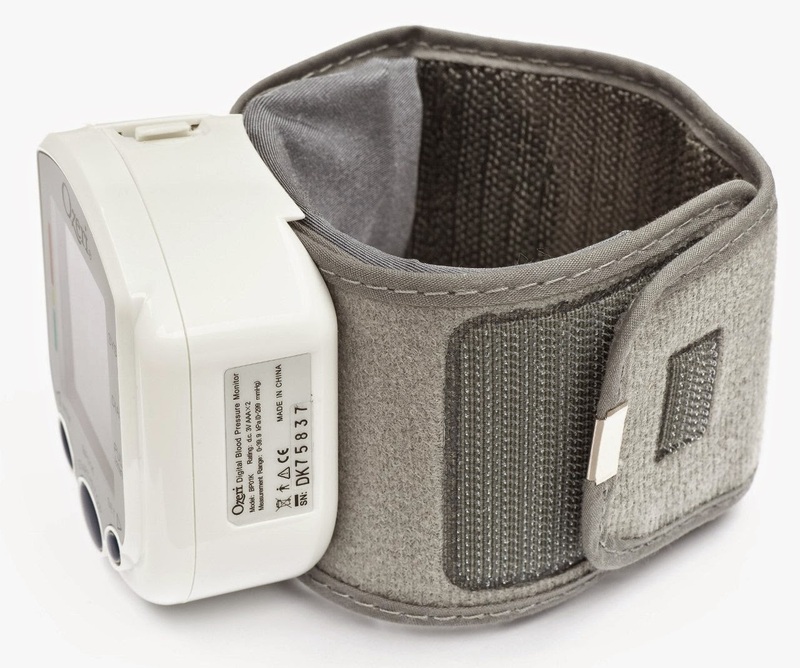 This advanced capability adds convenience and ease of use to those with conditions (such as arrhythmia) that lead to fluctuating blood pressure. 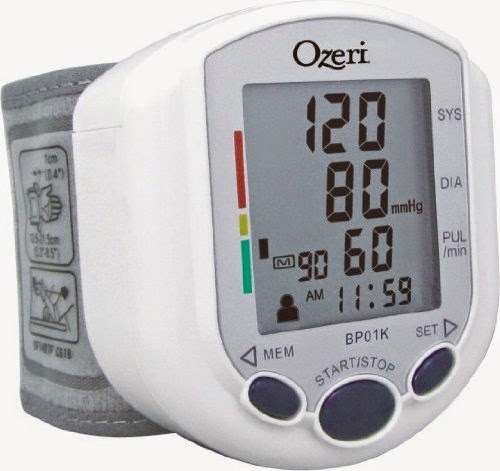 With ample memory, the Ozeri CardioTech Blood Pressure Monitor stores up to 180 blood pressure readings with date and time Memory recall (90 readings x 2 users), and automatically classifies each blood pressure reading according to World Health Organization hypertension guidelines. 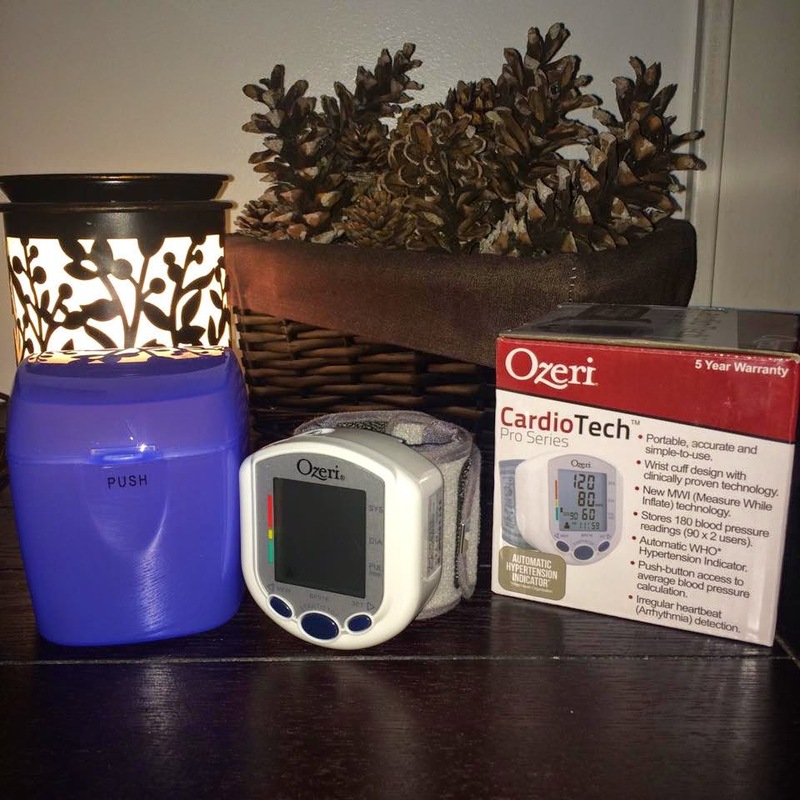 It also calculates average blood pressure readings based on the 3 most recent readings, and detects irregular heart (Arrhythmia) for an improved understanding of your heart's health. 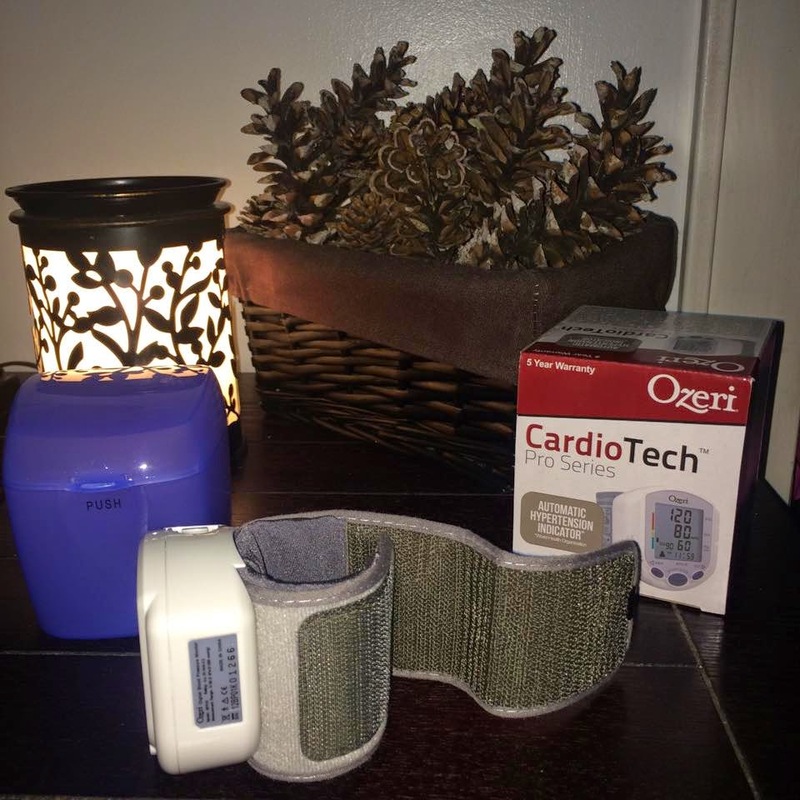 Based on a wrist cuff design, the Ozeri CardioTech Blood Pressure Monitor is especially helpful for users with above average arm sizes and it stores compactly in a carrying case for travel. 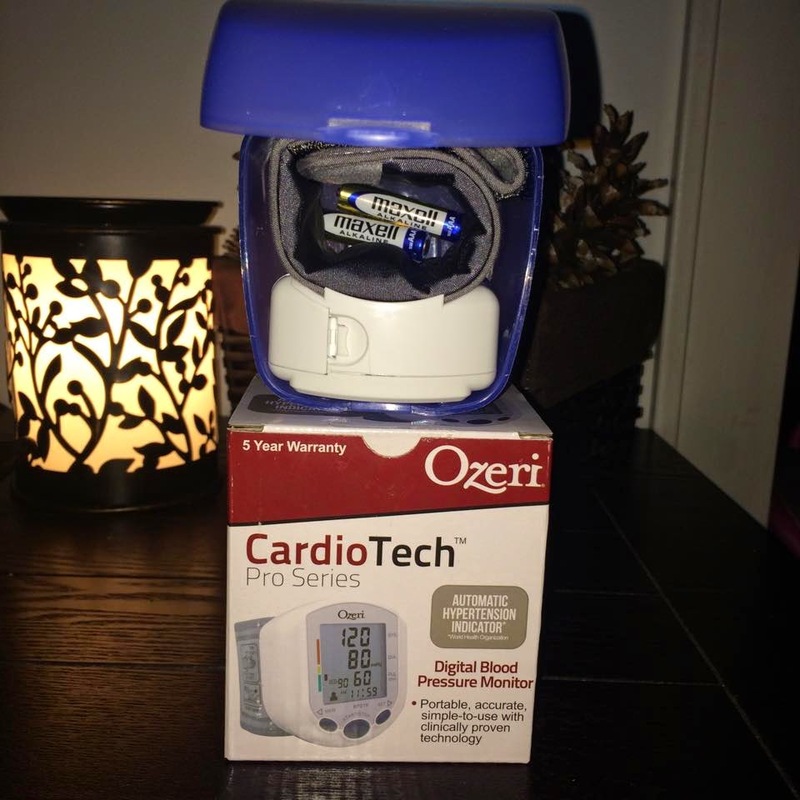 Compact, portable and simple-to-use, the Ozeri CardioTech Blood Pressure Monitor is backed by a 5 year warranty, and ships with 2 AAA batteries included, a carrying case and user manual. - Ensure that you are not eating, talking, laughing or smoking for at least 5 minutes before a measurement. - Do not talk, read, eat or watch television during measurement. Try your best to relax and avoid distractions. 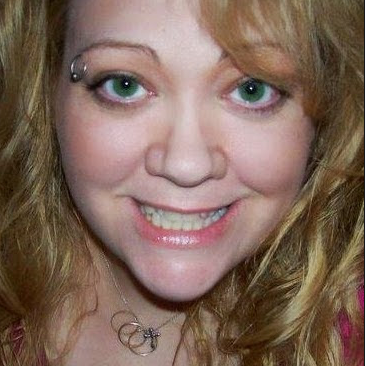 - Stimulants such as caffeine and certain medicines can affect your blood pressure. Taking your blood pressure at the same time every day in a relaxed setting will provide a better picture of your blood pressure over time. 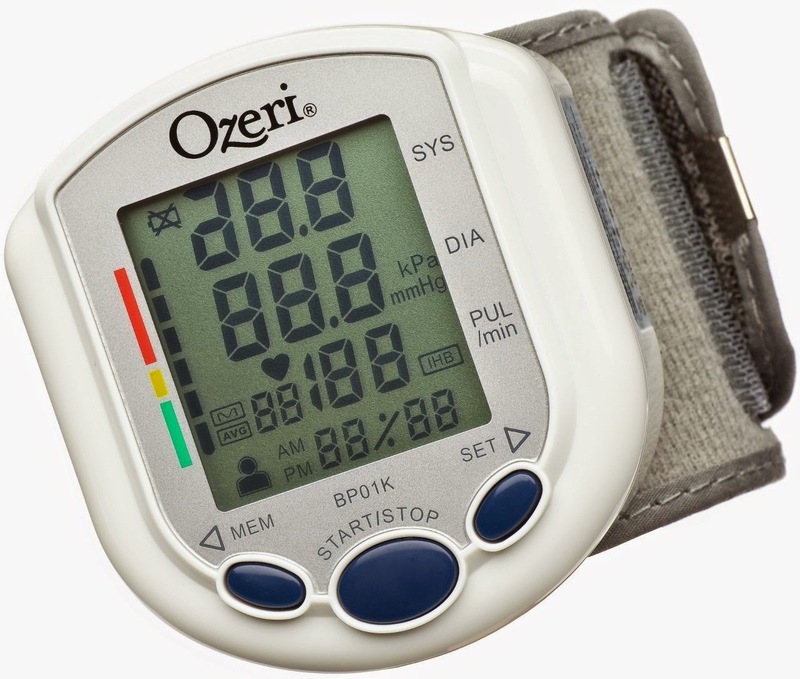 - Using your blood pressure monitor’s Average function is recommended as individual results may vary based on other factors, such as stress, exercise, smoking, ambient temperature, and a recent meal resulting in a full stomach and/or bladder. - Taking your blood pressure at home and then at your Doctor’s office can sometimes lead to different results, due to heightened anxiety sometimes experienced when visiting the Doctor. - Ensure that your arm/wrist and heart are level. - Taking repeated readings in rapid fashion can lead to inaccurate measurements. Allow for a few minutes to pass before the next reading, taking care to remain relaxed and calm. - Always sit upright while taking a measurement and rest your elbow on a flat surface. Do not cross your legs. - Ensure that thick clothing is removed when taking a measurement. - Ensure that the wrist cuff is ¼ to ½” away from the bottom of your palm. - Ensure that the wrist cuff is fitted so as to allow one finger to fit in between your wrist and the cuff. - Do not place cellular phones near the blood pressure monitor. I love this hard storage container on the left. Easy to use wrist cuff. 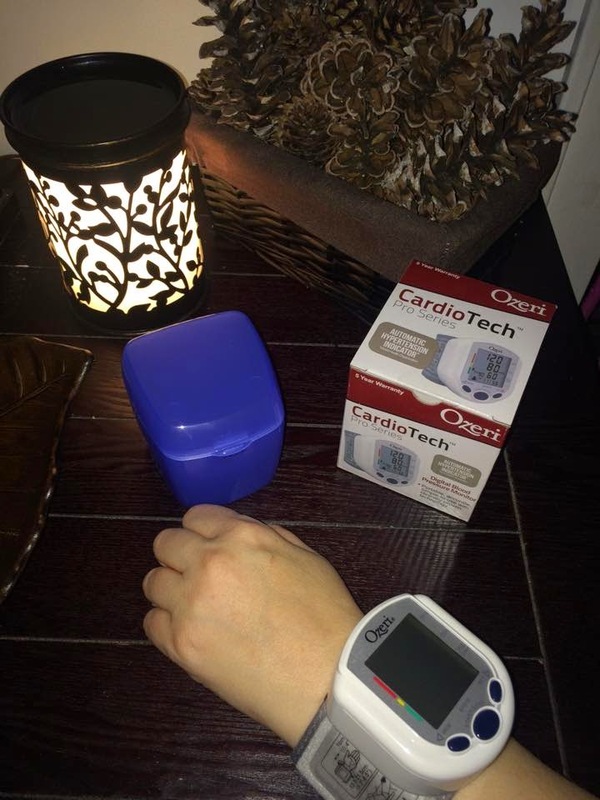 I was happy to get to try Ozeri- Cardio Tech Pro Series BP10K Digital Blood Pressure Monitor with Heart Health and Hypertension Indicator. 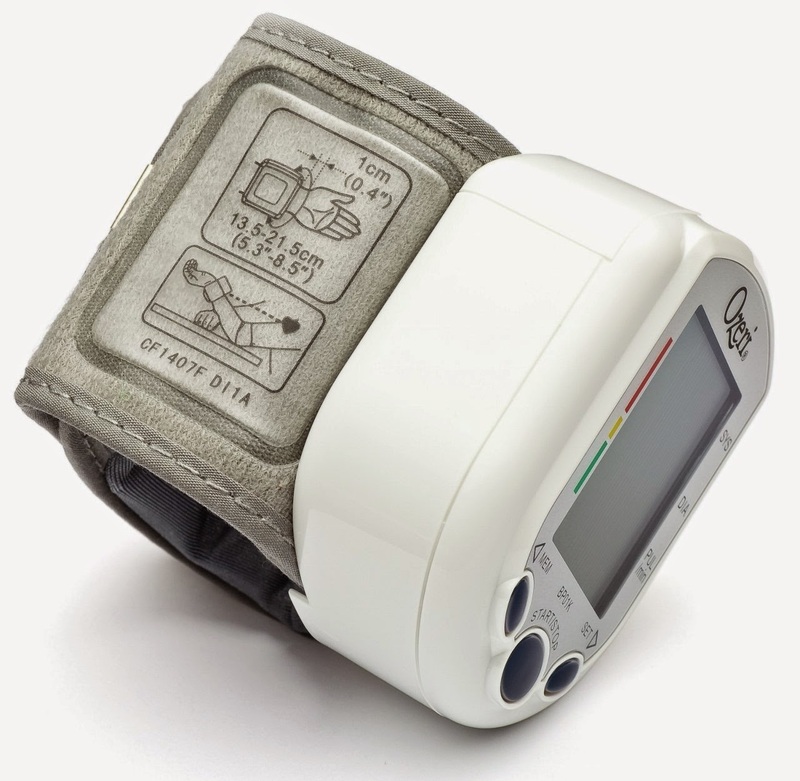 I like that it is portable, especially when you have to keep track of your blood pressure throughout the day. The wrist cuff is much smaller than a traditional blood pressure cuff that you wear on your arm. I really like this because I can see my numbers on the screen myself and take my own blood pressure reading with no help. I like that it has the detector for irregular heart beat and that it stores 180 blood pressure readings so you keep an accurate record. I really like that it will average the last 3 blood pressures The hard case that you store it in is very nice!